Finally the first decent nights sleep for the trip so far. With comfortable beds, no roosters and thick curtains we managed to sleep in until a respectable 8am. 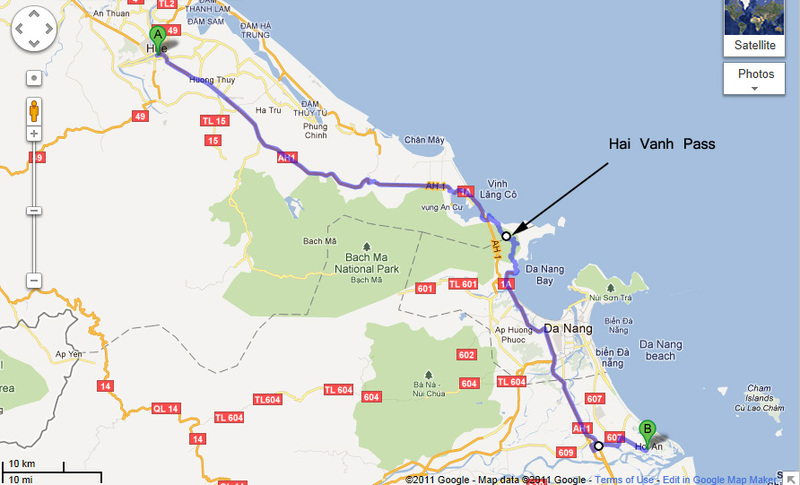 Knowing today was only a short 140km to Hoi An we were in no real rush to get moving. We made our way up to the roof top for a beautiful breakfast of bread, jams, eggs and fresh fruits. I’d also finally started to get used to drinking coffee with condensed milk rather than normal milk and this morning’s didn’t have too much in there so it tasted closer to coffee than warm sugar like some previous attempts had. Having packed very light to limit the weight on the back of the bikes we were on a mission for the morning to find some cheap socks to ride in. We loaded up the bikes and headed down to Dong Ha street markets. Wandering through these markets was the first time I really wished I’d brought along my Canon DSLR. Because of its bulky nature and perceived risk carrying it on the bike I’d left it at home and opted for my little waterproof, shock proof Panasonic Lumix FT2. While it’s a great little camera (and the camera used to take every photo on this blog) I just couldn’t do the colours, characters and general charm of these markets justice without some better lenses. After wandering around for a little while we stumbled across what was apparently the socks and jocks area with about 5 or 6 sellers clumped together. After some very hard negotiating we walked away with 10 pairs of black socks for the very expensive price of US$2. While not the greatest socks in the world they only had to last one wear as they were likely to be thrown out at the end of the trip anyway. On the way back to the bikes we walked into what was clearly the live chicken selling area. These caged chickens were being bound and sold off live in pairs to numerous locals. 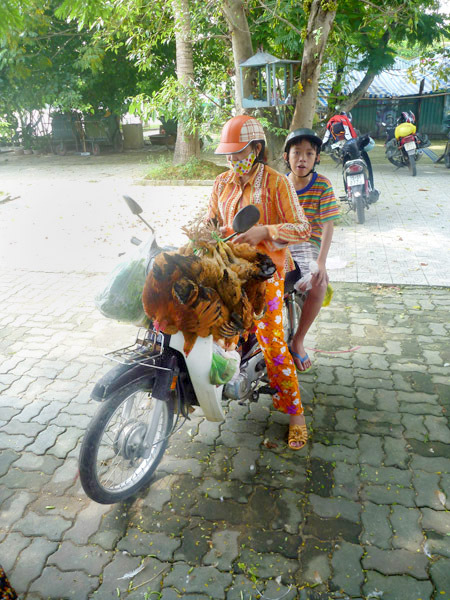 While somewhat cruel I did have to admire the ingenuity to carry 2 people on a bike as well as 8 live chickens. The effort in this photo would later prove to be a pretty weak as we would see bikes loaded with up to 20 birds later in the trip. 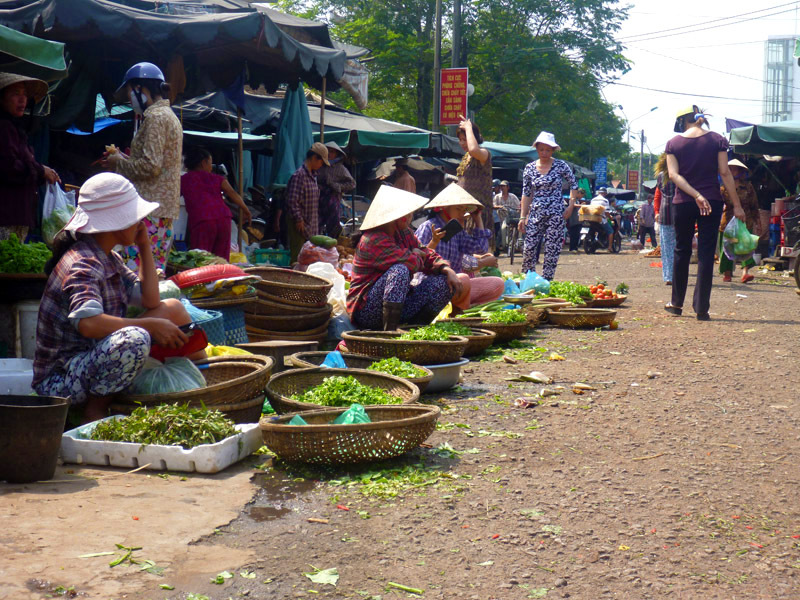 Once done with the markets we hit the road bound for Hoi An. While we only had a relatively tame 137kms to cover today it was nearly all on Hwy 1A which we knew would be slow going and included the Hai Van Pass that would provide plenty of photo opportunities. Hwy 1A out of Hue was in very poor condition as we had seen elsewhere further north. 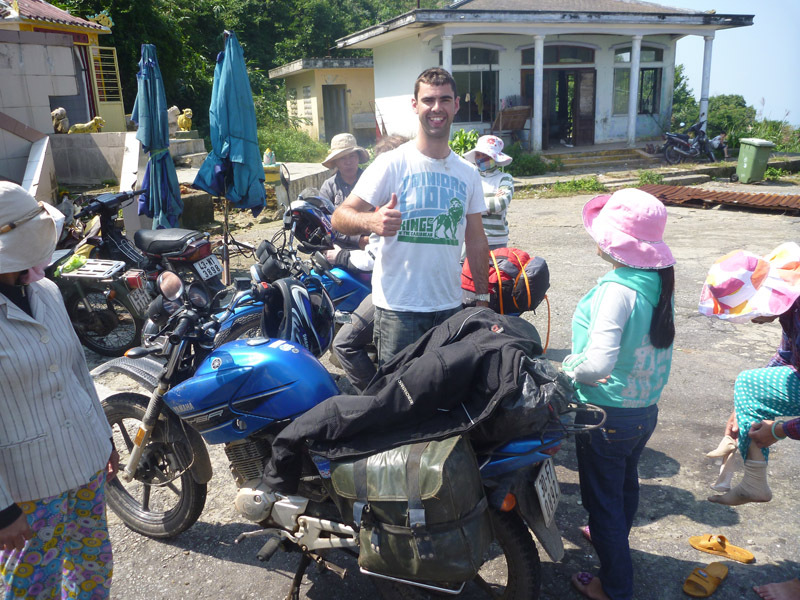 We were again all missing Ho Chi Minh Dong Road and the riding further justified the decision to head inland for most of the trip. To deviate from the story a little I should make mention of the tour buses here. As we would find out over the length of the trip the biggest risk to bike riders on the roads in Vietnam is not the road conditions, the overloaded trucks or the complete lack of road rules, it’s tour buses. Whether small (as was often the case in the north) or large (more on Hwy 1) these guys are absolutely insane! They are the fastest moving vehicles on the roads, believe they have the right to use the entire road, including the other lane, will overtake on blind corners and have complete disregard for anyone who happens to get in their way. You always have to be on the lookout for them as they will completely ignore the 40km/h limits in the towns and have no shame in slamming on the brakes and stopping in the middle of the road should someone need a toilet break or want to take a photo. Anyone who spends a little time on the roads in Vietnam will learn that although it may appear like chaos to a pedestrian, there is a general flow to the traffic that is in fact very efficient and orderly in how it works. These tour bus drivers are the exception to that rule. Watch out! 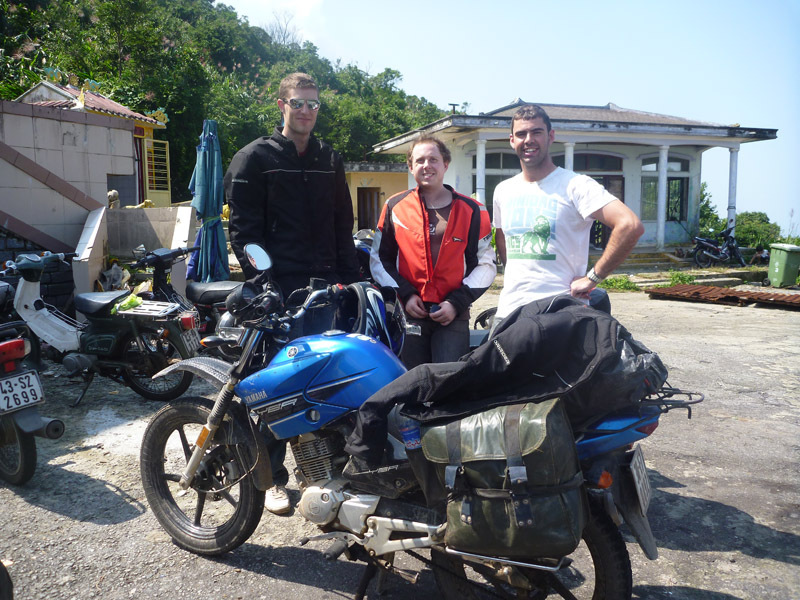 Back to the ride and we eventually hit the mountains and the start of the Hai Van Pass. The Hai Van Pass or “Ocean Cloud Pass” is probably the most well-known stretch of road in Vietnam. 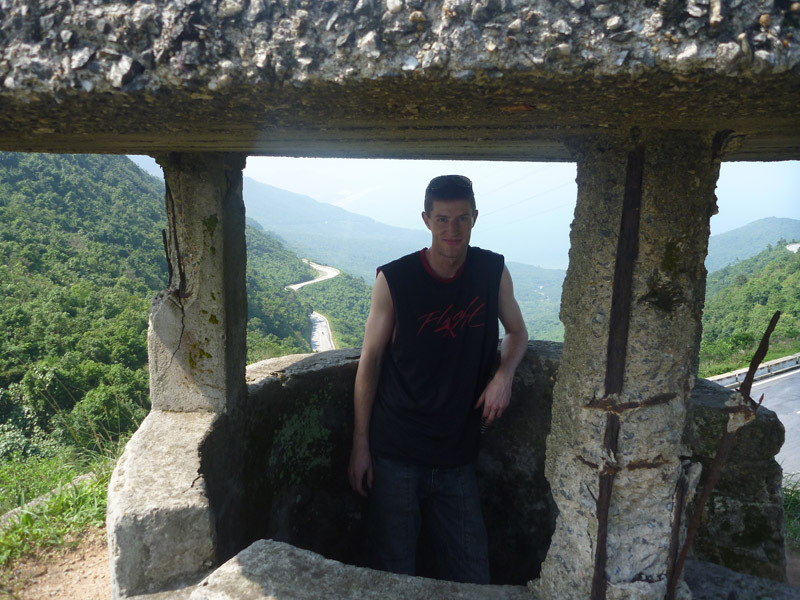 It stretches for over two miles through the mountains overlooking the water and climbs nearly 500m to the ruins of an old American bunker and then back down to sea level. The roads are relatively quiet as the main highway continues through the Hai Van Tunnel which is only for trucks and cars. Other than motorbike traffic and the occasional crazy tour bus we had the roads to ourselves and could enjoy the ride and the view. 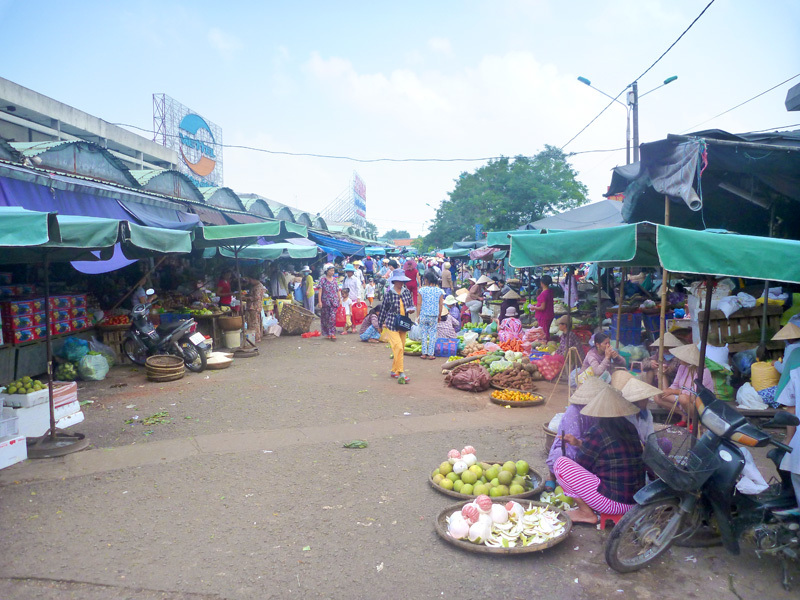 Once you reach the top of the pass you are immediately greeted by a huge number of eager market stall operators looking for the tourist business. You need to be a little prepared as at time they can be very pushy but are also very willing to negotiate if you do spot something you want to buy. Just don’t give in too early on price as we bought a few things for what we thought were decent prices only to be offered them again for sometimes half the cost as we were leaving. After stopping for a drink and a few photo opportunities at the top we made our way back down other side of the mountain. As tends to be the case on these bikes the ride down was way more fun than the ride up. Reasonable roads and minimal traffic (other than dodging the odd mountain goat) meant we could open them up through the corners. 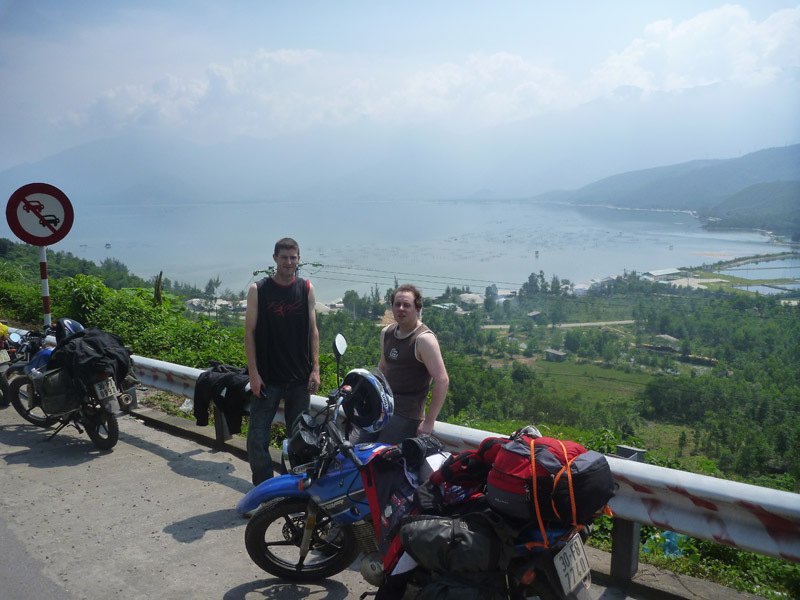 Back on Hwy 1A we skirted around the edge of Danang without bothering to detour into the down as we had heard there wasn’t a whole lot to see. Soon after we were at the turnoff to Hoi An (note there is only a single sign and no major intersection) and made out way into town. We had been recommended the Thanh Van Hotel which is near the entry to the town but unfortunately it was fully booked for the night. As such we set about attempting to find some of the other hotels listed in Lonely Planet only to get completely lost. Eventually we settled on the Than Van’s sister hotel (Thanh Van Hotel 2) as even though it was further north of the main town, the rooms and price were far superior to anything else we found. For US$30, after a bit of negotiating, we got a deluxe 3 bed room with air conditioning, wifi and use of the pool and free push bikes to get into town. First port of call for the evening was to go and get fitted for some suits as we knew these would take at least a day to get made. 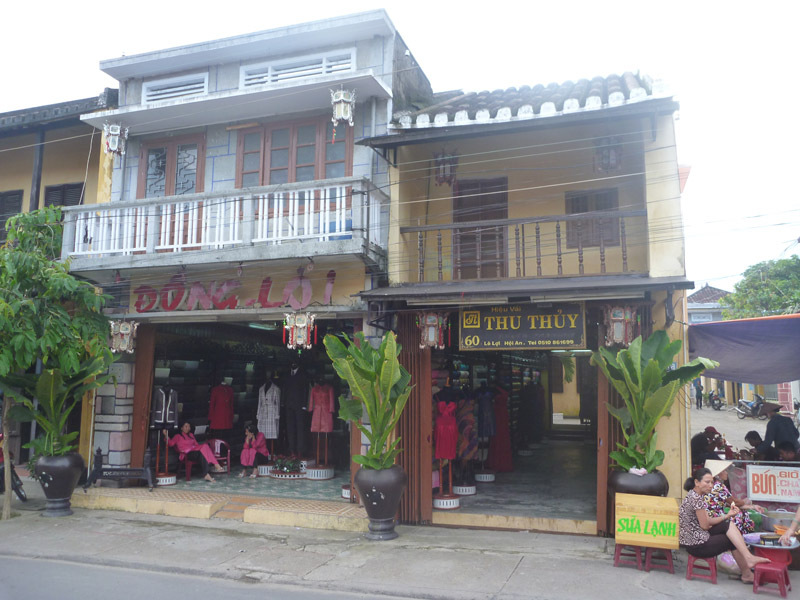 Hoi An is known for its tailors and the options are endless. Everyone will try to offer you discounts at “their tailor” but beware they are all getting kickbacks on your business. Best suggestion is to have an idea in mind (and a picture if possible) of what you want and then just wander round and check the quality of the finish until you find one you’re happy with. Jarrod had been told to go see Thu Thuy Silk tailors so we did and got ourselves measured up for suits and shirts. I managed to pull up the design I was after on my phone and they quickly set about sketching it and taking measurements. It was then just a matter of going through the seemingly endless selection of fabrics and liner combinations until we found one we were happy with. By the time we were done with the tailor, having been told to return the following evening for fittings and alterations it was already dinner time so we found the nearest pub and settled in for the evening. 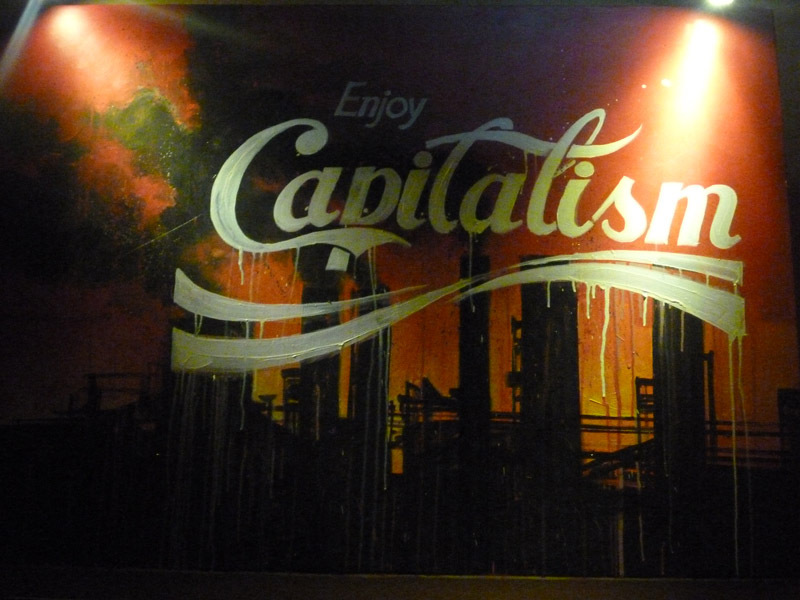 The Then and Now Bar, despite its anti American artwork, was a very chilled place that served a great mix of western and local cuisine. 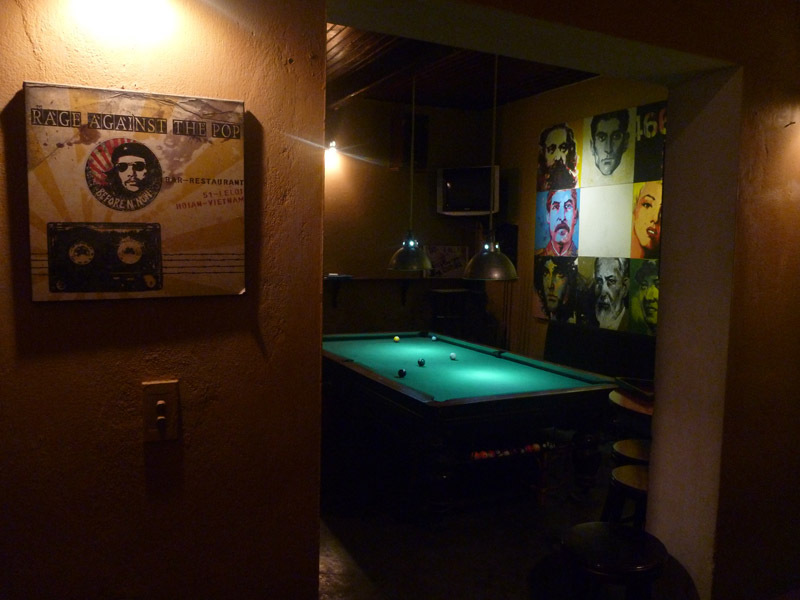 The drinks were a little pricy by local standards but the music was great and we had the pool table to ourselves. We had lived off the local food until this point in the trip so were craving a bit of western food. 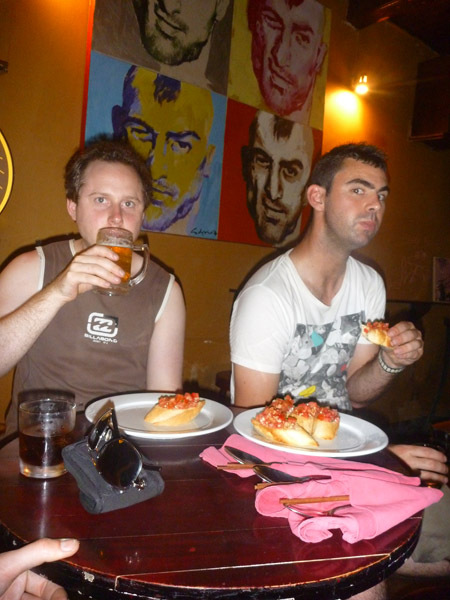 Unfortunately and somewhat ironically I believe it was a pizza at this bar that finally gave two of us food poisoning and not any of the other less than hygenically prepared local food we had eaten and would eat over the rest of the trip. We continued on at the bar until the exhaustion kicked in and headed back to bed. We would leave the exploring of Hoi An until our rest day tomorrow. The inclusion of map coupled with some spectacular photographs of your journey makes it such a wonderful blog. thanks for sharing and good luck for your travels. Seems a great journey (which journey is not:). 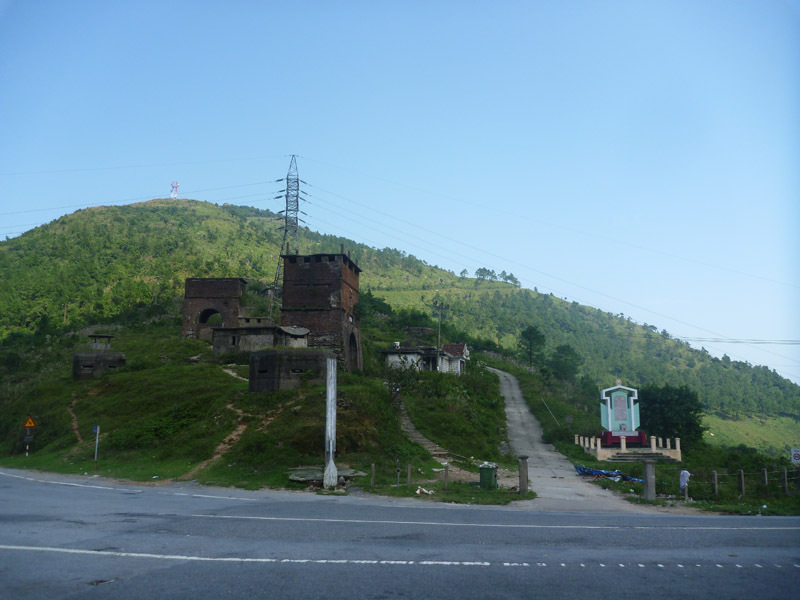 Great photos of the mountain pass. We did this part of your trip a couple of years ago and loved it – except for dodging oncoming trucks on our side of the road. Good luck with the rest of your journey.